As a part of the Hartley & Marks family (the makers of Paperblanks journals, Alusi candles and Paper-Oh notebooks), the Bridge & Enrich Lives Society began as an extension of the Global Citizen program. What has developed is a fully realised, thriving community in our hometown of Vancouver, British Columbia. Learn more about the people who helped make BE happen here. Bridge & Enrich Lives Society (“BE”) is home to individuals from various interest groups sharing a space with the common objective of enriching lives: the lives of themselves and the community around them. What is the inspiration? To create “Humanity living Enlightenment”, not just community! “Who Am I” is the question in focus at BE. With this clarity, we BRIDGE perceived limitations within and without, and ENRICH by inspiring thought, intention and action that align with who we truly wish to BE, free of fear and greed based cognitions. Through the practice of integrity and the unveiling of our authentic selves, we take collective responsibility to embrace, empower and enrich all ages to experience the peak potential of body, mind and spirit. The foundation of who we are is rooted in the ancient practice of living Advaita, experiencing the joy of interconnectedness and sharing the treasure of generosity. We are the contemporary expression of “All is one AND all is different” and enlightened living practices like yoga, dance, meditation, chi movement, sattvic nutrition, energy healing and music therapy are examples of our offerings at the BE platform. Our commitment is to BE authentic, BE enthusiastic, BE creative, BE the best we can BE. We are committed to authentically share and imbibe ancient, contemporary and indigenous wisdom practices for immediate and ultimate life solutions. By facilitating connections and exposure to creative insights from various cultures and demographics including children, youth and wo/men, we are a platform for the promotion of holistic health, wellness and fitness, education and spiritual growth (Body, Mind and Spirit). 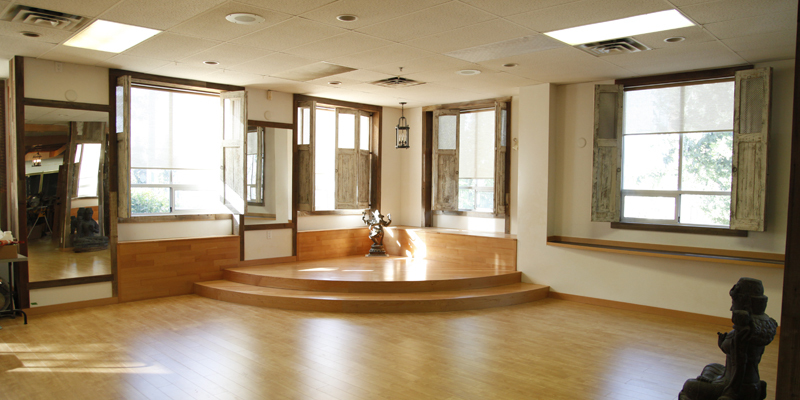 Bridge & Enrich is a knowledge network, a sanctuary, a space that awakens, nurtures and restores. Yoga, meditation, mind-calming vegetarian foods, dance and other creative movement workshops including explorations of our inner world, our consciousness–these are some of the activities gracing the BE platform. We invite you to join the confluence of practitioners and participants paving the way to transformative experiences–joyous living through expanded hope, restful awareness, and completion from conscious living with integrity, authenticity and responsibility in body, mind and spirit. Why am I holding myself back from expressing who I truly wish to BE? How can I align my intentions, thoughts and actions to express this conscious way of being? Inspired by teachings that point the way including Paramahamsa Nithyanananda’s wake-up call to complete with the ignorance and the pattern to just survive in life, which is not being active and not feeling the need to know more, we are committed to authentically share and imbibe ancient, contemporary and indigenous wisdom practices for immediate and ultimate life solutions. By facilitating connections and exposure to creative insights from various cultures and demographics including children, youth and wo/men, we are a platform for the promotion of holistic healing and wellness, education and spiritual expansion (Body, Mind and Spirit). The Society is a knowledge network, a sanctuary, a space that restores, nurtures and awakens us to our true potential. Yoga, meditation, mind-calming vegetarian foods, dance and other creative movement workshops including explorations of our inner world, our consciousness – these are some of the activities gracing the BE platform. We invite you to join the confluence of practitioners and participants paving the way to transformative experiences – joyous living through expanded hope, restful awareness and completion by consciously living with integrity, authenticity and responsibility in body, mind and spirit. We thank you for your interest in being part of BE. Please see our Weekly Schedule for up-to-date information on all our upcoming classes and workshops. Instructor bios are also available for fuller information on our classes and the dedicated individuals and groups leading them.